This Summer, The prestigious New York film academy will be live in Lagos! 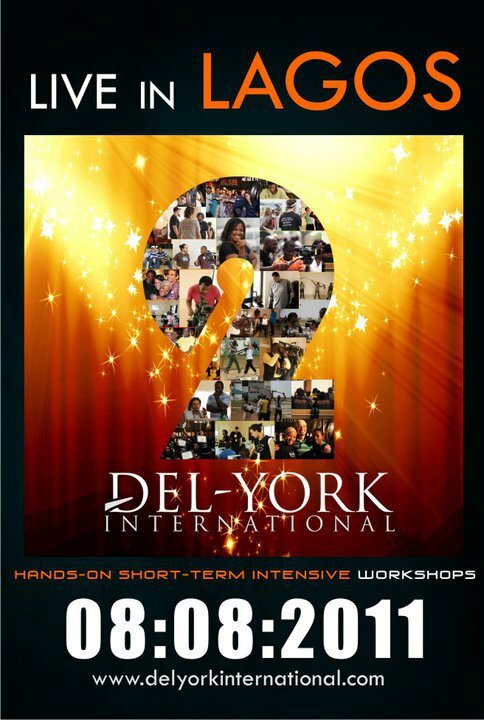 The inaugural training program was held in March 2010, when Del-York International and NYFA successfully hosted and trained 400 African students in Abuja. Recognizing the program’s cultural and economic importance, the Rivers State Government and the Niger Delta Development Commission sponsored 120 and 250 students respectively. "Having worked on the crew of some of the top TV shows in Nigeria, my expectations were very high when I decided to undertake this program. However, the quality of knowledge impacted into me surpassed my wildest imagination,” says Deji Ajose-Ojikutu, Producer of Celebrity Takes 2 and Del-York/NYFA Training Program 2010 graduate. The training program seeks to inspire future visual storytellers to use the African film industry to increase a better understanding of African culture globally. In addition, it aims to develop a wider, non-African audience for our cinema by expanding the opportunities for hands-on training and film distribution internationally. Online application entries for the Del-York/NYFA training program will close on 18 July 2011 at 5pm (GMT+1). Scholarship applications will close on 4 July 2011 at 5pm (GMT+1). Please visit www.delyorkinternational.com for further information.